This is the engrossing tale of Balan, a kid from South India who grows up in the towns of Punjab, Jammu and Haryana. It captures the eventful journey of Balan's childhood, his schooling, and the friends he makes and loses due to transfers of his father, serving in the Indian Army. 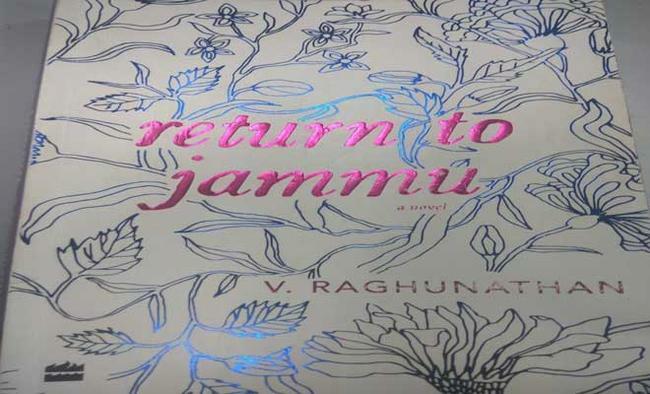 "Return to Jammu" is a first-person narration and with the timelines, places and real-life personalities and events, the reader gets a feeling that it is an autobiographical novel. The author clarifies that all characters and the story per se are fictional but confesses to borrowing liberally from many episodes of his childhood in telling the story. "If you happen to be acquainted with me enough to perceive a passing resemblance of me in Balan, you would be right; and yet if you find the resemblance rather tenuous and liberally adulterated, you will be equally right too," says the author in a preliminary note.Balan, son of a junior commissioned officer hailing from Kerala and having Tamilian roots, is born in the Ambala cantonment in 1954. He narrates his story even before his birth, relying on family tellings. The author has superbly captured the life of the kid in a cantonment, growing up with two sisters, his mother's struggle to run the house on a tight budget and his father, a happy-go-lucky man, who avoids the responsibilities of a good husband.He describes vividly how the family shifts to Jammu on his father's transfer, giving even the minutest details of their belongings, and of their journey to Jammu via Pathankot. Settled in Jammu, Balan is admitted into grade two, though just four years and seven months old. He remains younger and tinier than his peer group all through his schooling and even in college. Because of his diminutive size, he is saddled with sobriquets like pocket edition, Lilliputian and Madrasi, and sees his self-esteem falling dangerously. It's at Satwari near Jammu that he develops childhood friendship with many, most importantly with Jeevan Asha or Jeesha, who was two years older and also taller than him. Soon, however, Balan's father is again transferred to Ambala and he is separated from his friends, especially Jeesha. He writes letters to his friends and receives responses from all, except Jeesha. There he comes across a girl called Jasmine Pundith. He believes she is his good old buddy Jeesha. Bu she shows no sign of recognition and when he tries to remind her about their childhood friendship, Jasmine tells him that she is a citizen of the US and has no link with Jammu. Convinced that she is none other than Jeesha, Balan travels to Delhi to find out more about her family. He even returns to Jammu, where he meets her brother Niranjan. What Balan comes to know from him forms the climax of the story.The book is worth a read also for the author's eye for detail, whether it is canal system of Jammu, the picturesque Kashmir valley, especially Uri, the pilgrimage to Vaishno Devi, or a visit by then Prime Minister Jawaharlal Nehru.